Michele Langelier McKee, working for a Boston modeling agency, circa 1960. 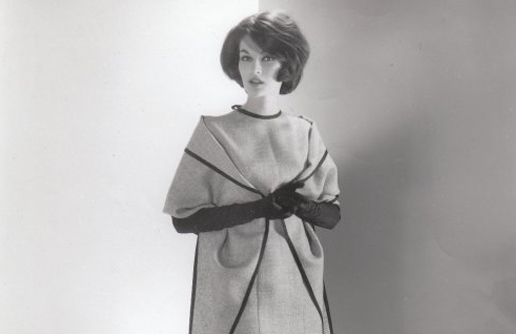 Michele Langelier McKee modeling, Boston, circa 1960. 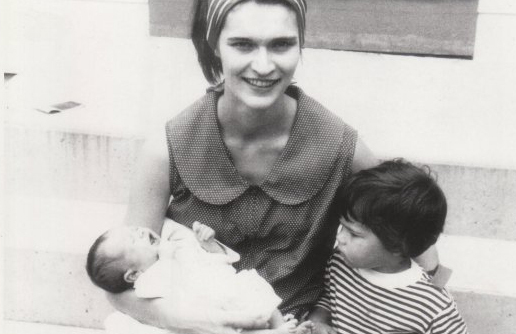 Elizabeth (infant), Michele and Jill at home in Natick MA ,1965. 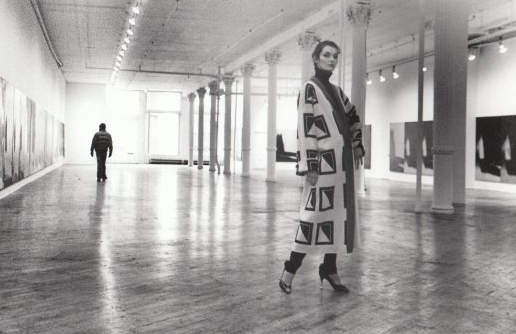 Michele, Soho, Manhattan, in a friend's art gallery, circa 1976. Michele and a friend of Jill's, Samaritan Village, Jamaica, Queens, October 2001. 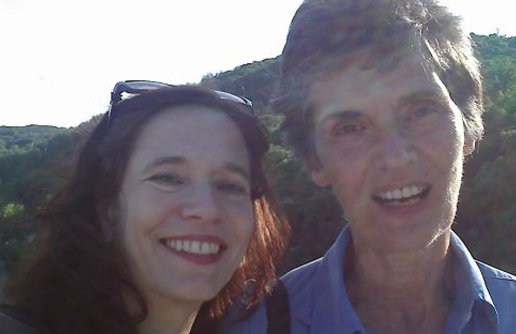 Elizabeth Kadetsky and her mother at a family reunion at Croton-on-Hudson, NY, 2010. Elizabeth Kadetsky traffics in memory. There are memories that she summons for memoir, and the unbidden, dream-shifted memories that allow her to walk back into a time and place that no longer exists. Central to that lost time and place is the stylish Manhattan apartment where, beginning in 1975, she and her sister, Jill, lived for 20 years with their beautiful mother, Michele Langelier McKee. 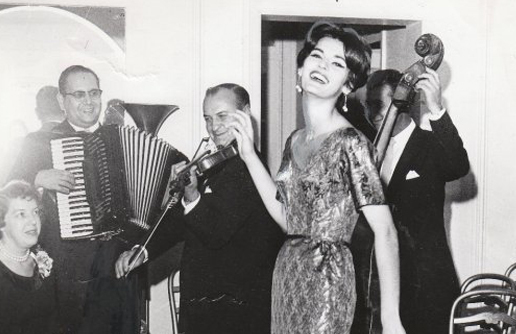 In her essay, “The Memory Pavilion,” Kadetsky recounts her longing for the first ten years of their life there – an optimistic time characterized by the glamor and charisma of her fashion-model mom, the Seventies’ “love all things continental,” and a grittier New York City. Kadetsky has a recurring dream in which she not only returns to the apartment and heroically secures the lease her mother lost, but feels fulfillment of that essential wish of being made whole. In 2009, two years before she lost her mother, Kadetsky published “Living in the Moment” in the New York Times. She wrote frankly about her mother’s memory loss and her own Zen-like acceptance of what she could not change. Yet the dream contradicts that acceptance of a mother changed, a lifestyle lost, security irretrievable. In a recent interview, Kadetsky tells Making Sense of Alzheimer’s that when “Living in the Moment” came out, her mother read it over and over again. It is that hall of mirrors – Kadetsky in the present remembering her mother reading an essay about her own memory loss – that holds the shimmering matter she is currently working with in fiction and memoir. Increasingly, she believes that early trauma played a role in her mother’s somewhat dissociative adult personality and eventual Alzheimer’s. “I’m interested in trauma as a psychological and literary construct in all of my work, and the ways that trauma interacts with memory,” she says. Her forthcoming collection of stories, The Poison that Purifies You (C&R Press), begins with a story about a man kidnapped by a jihadist, and includes another set during the Guatemala earthquake of 1976 in which the protagonist is an archaeologist off his meds, having trouble distinguishing reality, danger, epiphany, good judgment and paranoia. Her current concept is to develop one book that will be a collection of lyric essays focusing on her mother and Alzheimer’s. Kadetsky says the other narrative will explore how trauma affected her family. She believes that its effects may well have extended to her mother’s disease.Although she realizes that she has no scientific basis for her belief, Kadetsky noticed that her mother’s final slide into dementia coincided with the September 2001 attacks on the Twin Towers. 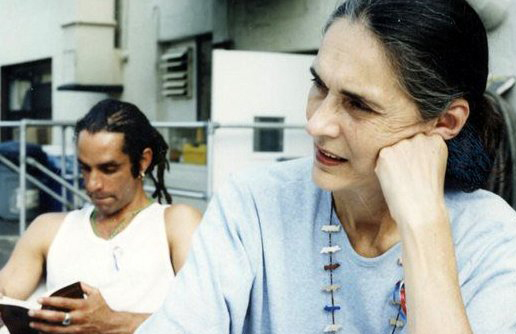 In one poignant photo of Michele taken in Queens, New York, a few weeks after the events that traumatized the city and the nation, we see a still beautiful woman of sixty-one, who seems to be carrying a weighty concern. She carried many, post-9/11, Kadetsky says. Those seemingly sudden personality changes prompted Kadetsky to further explore her interest in trauma theory, which suggests that a traumatic event in the present can trigger the emotional state associated with past traumas. Kadetsky read the scholarly works of Judith Herman, Cathy Caruth and others, and began to suspect that 9/11 might have triggered the confusion and dissociation of an earlier event in her mother’s life. Beginning in September 2011, overwhelmed, confused and fearful, memory — as it served Michele in her daily life — began to slip away. Intuitively, as Elizabeth Kadetsky writes her way back and forward through the Zen-tangle of memory and complex family relationships, she searches for a context in which to view personality, illness, trauma, memory and love. This is her project – in fiction, in nonfiction, in daily life – to understand. How one can be in the present while consumed by ravenous nostalgia. How one can retrieve memory and let go. How one can make sense of it all. Deborah Fries is the author of two books of poetry: Various Modes of Departure (2004) and The Bright Field of Everything (2014). She is a columnist and editorial board member of Terrain.org: A Journal of the Built & Natural Environments, and was the Poet Laureate of Montgomery County, Pennsylvania from 2006 – 2007. Her poem “Twitch” can be found in The Bright Field of Everything.